With the puncture duly repaired, this half of our circuit was anti-clockwise. 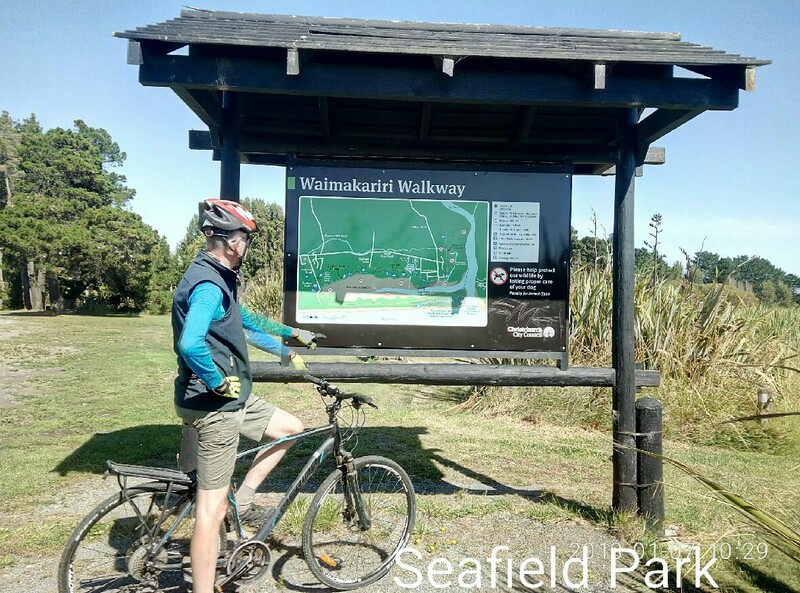 After a stop for coffee at Waimairi Beach, the track begins, heading north through the sand hills along a solid and wide shingle track to Bottle Lake Forest. 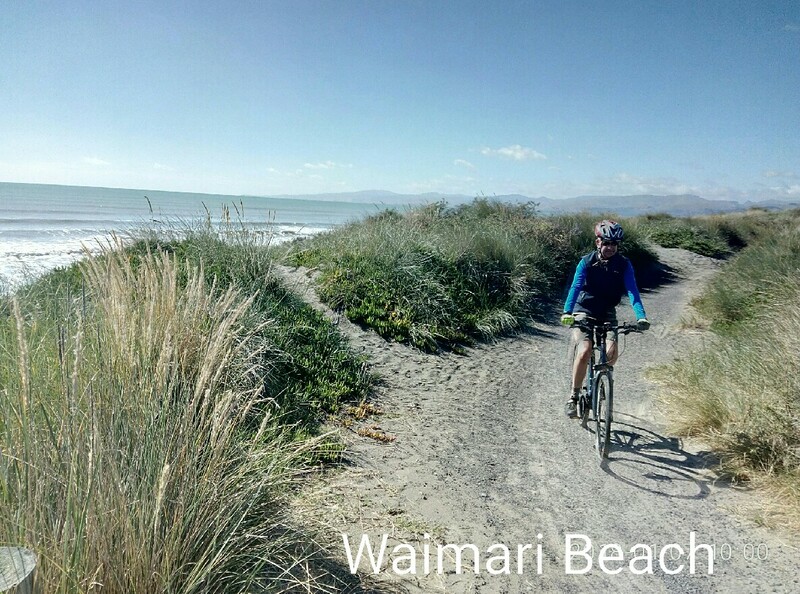 At two points, the track rides on top of the sand hills, affording great views of Godley Head and the Port Hills across to the Kaikoura Ranges. 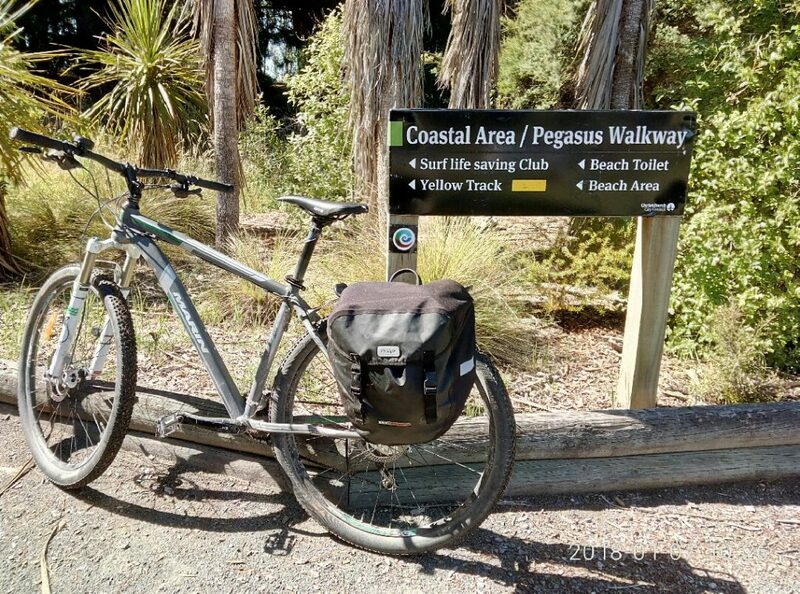 Known as the Southern Pegasus Bay Track, this leads along the eastern side of Bottle Lake Forest to the new Spencer Park Surf Lifesaving Facility and into Spencer Park. The Brooklands Lagoon Walkway begins here at Seafield Park, which is just north of Spencer Park on Heyders Road. 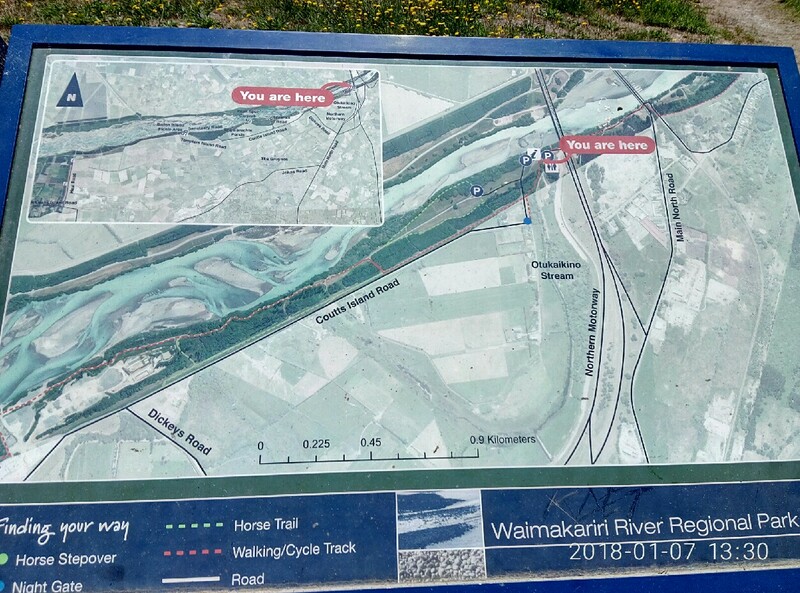 The Pegasus Bay Track continues north along the east side of the lagoon to the Waimakariri River mouth. The return journey to the river mouth (sorry, not crossable by bike) and back to Spencer Park would add another 10km. 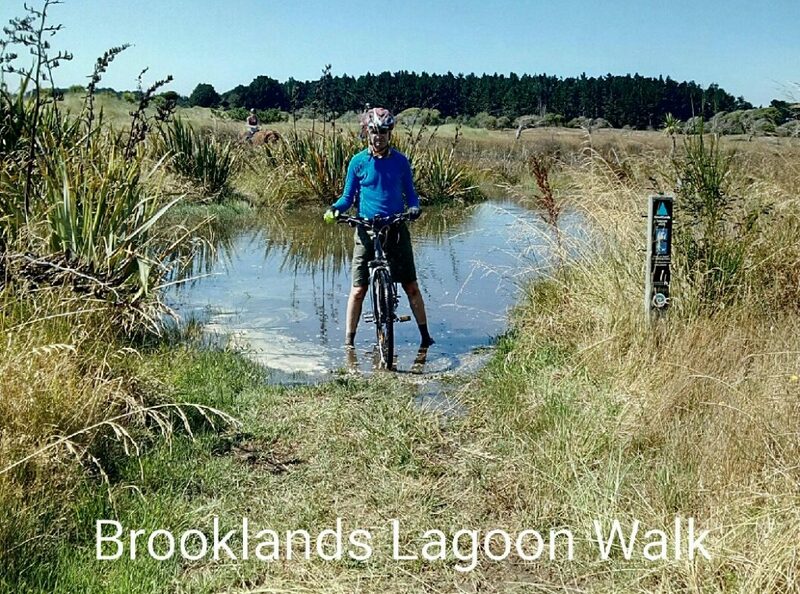 Brooklands Lagoon Walkway is indeed a walkway, not a bike path, so it is the slowest section of the journey. Sand-walking the bikes will probably be required in places and there are areas of soft uneven surfaces. If the tide is high then expect wet feet from ankle deep paddling in sections. This adds to the fun. The slower journey is no problem as the lagoon is scenic and there is ample birdlife to observe along the way. 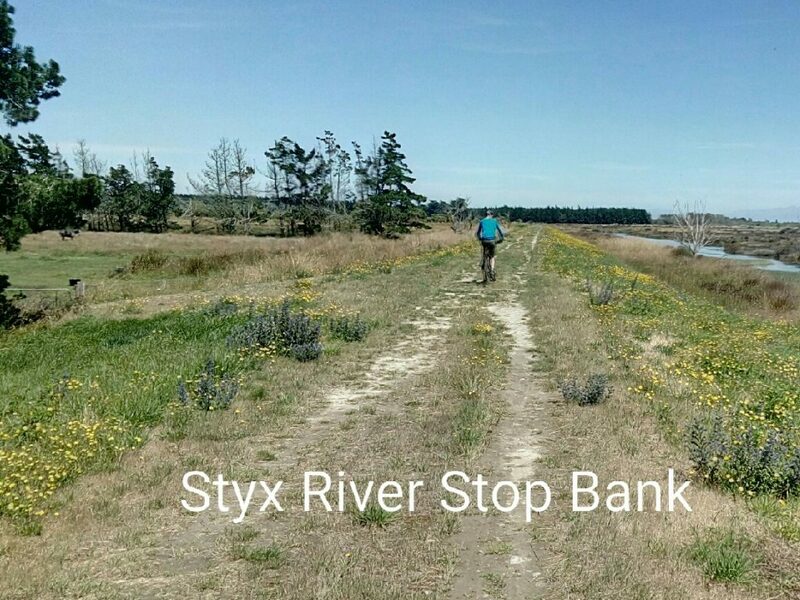 At Brooklands, the track turns west along the Styx River stop bank towards Stewarts Gully and Kainga. 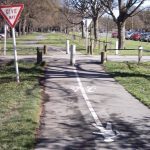 At times, the 360 Trail moves off the stop bank, but signs indicate the mountain bike track remains on the stop bank. Choices to make. The Blue Line bus can be caught at Bridgend back to the city. Alternatively, by following the river bank under the rail and two road bridges, it leads to Whites Crossing Picnic Area. Shortly after getting back onto the stop bank, it is possible to ride down onto Coutts Island Road to turn left onto Dickeys Road which leads under the Western Belfast Bypass to the Main North Road at Belfast. Here, the Blue Line bus can be caught also. There is a range of maps and information boards on most sections of this epic journey. The route is generally well marked. Look for the 360 Trail sign where possible. 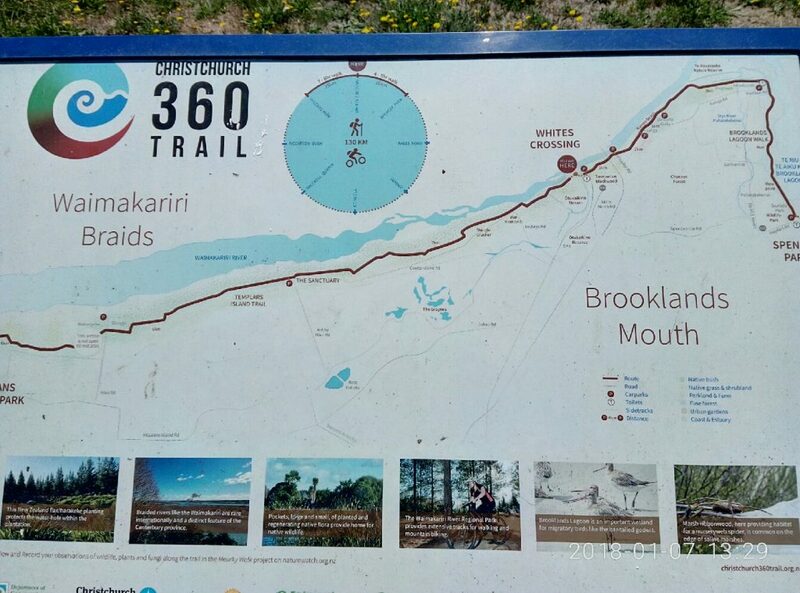 For written directions to take as back up, print off from the Christchurch 360 Trail website (Dunes Wetlands, Brooklands Mouth and Waimakariri Braids segments). Hi Robert, just want to thank you for posting about this ride and let you know what we thought of it. I first read your blog last year and finally got around to doing this trip yesterday. 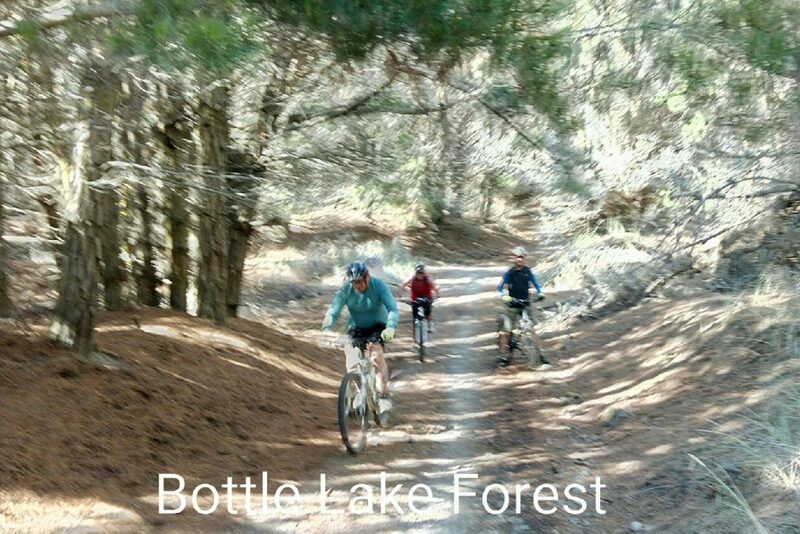 We did a round trip beginning in Parklands through Bottle Lake Forest and it is mostly a great ride except for the Brooklands Lagoon section. As you emphasised, this section is a walkway not a bike path, with much of the track very sandy having been churned up by horses. Since sand in a bike chain is as bad as a shoe full of sand we walked our bikes for a lot of the way and would not repeat this section again but would take the road from Spencer Park to Brooklands instead. Also, the stopbanks from Brooklands to Kaianga are a great alternative to those vibration exercise machines unless your bike has very good suspension. I swear my arms have toned a few millimetres already. The section from the the rail and two road bridges to The Groynes is great, however, and we thoroughly enjoyed that bit. Our next ride will be a round trip to the McLeans Forest Park beginning from the rail bridge. Looking forward to reading more of your adventure rides. What “Quick Wins” would you like? Micheline on What “Quick Wins” would you like?